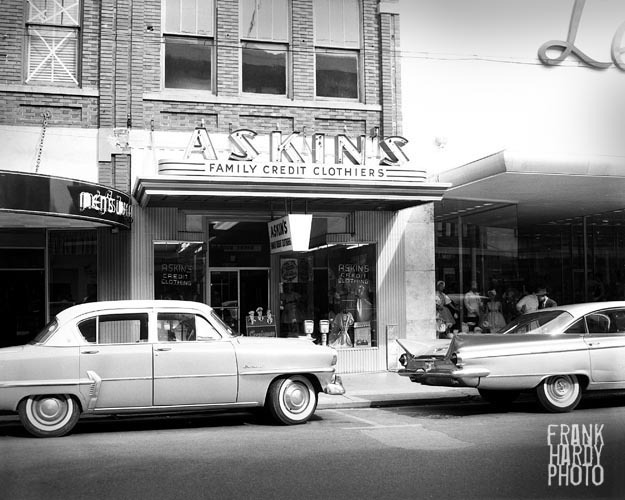 This is Palafox back in the 1950’s. Next door is the Lerner Shop … it was a women’s clothing shop that was very popular in it’s day. I do not have much to add to add to this other than the cars are interesting, especially the one with the fins … no idea of the make and model. That’s a 1959 Buick. The 55, 56, 57 had a different body style. The car to the right is definitely a Buick and given the wings/fins, it’s probably a 1957.